I chose LDUK as i saw so many cars around Harrogate & Knaresborough. I found their details on their website. Chris was always calm and understaning when i was struggling. I have already recommended Chris to my friends. Now i just want to drive everywhere. Tam is very friendly and understanding. I passed my driving test first time in Knaresborough with Tam Gallagher of Learn Driving UK. Tam was really good and i enjoyed every lesson. Now i want to become more confident whilst driving. I passed my driving test at the first attempt in Knaresborough with Matt Hardwick of Learn Driving UK. Matt was really helpful. Now i am going to be a careful driver. I had a lesson when I wanted, I could group book my lessons and have more than an hour a week which really brought me along quicker. There was always a calm atmosphere on my lessons thanks to Anthony. He was always friendly and very knowledgable. I would highly recommend. Now i'm going to be able to drive to work. Tam was awesome. I highly recommend Tam as i passed first time. I was taught under a set time and i went through it very well. I will now be progressing with my job as a farmer. The Best Company in Harrogate. Tam is the best teacher, he taught me all there is to know about driving a car and he is very calm. My friend recommended the company to me and of course i will be recommending to all my friends. I already have a car and now i can drive it. Fantastic Instructor. I saw a lot of Learn Driving UK cars around so I thought they must be good. I found them on the Internet. I passed first time today in Knaresborough with Anthony Houseman, fantastic instructor. I would definitely recommend Anthony and LDUK to anyone. He was very informative. Now I want to get a good job. Tam was a brilliant instructor. LDUK was the only school that could properly suit my needs. I would highly recommend. I passed, what more can i say. Tam was a brilliant instructor, very supportive and gave me confidence. Now i can get on with my life. Tam was recommended to me by a family member. He was very good and i passed first time. I have already recommended him to my brother. Now i want to get insured and drive. LDUK were recommended to me by family and i got there contact number from a friend. I passed my test very quickly, but my lessons were still very thorough. I would highly recommend Anthony as i passed very quickly. Now i want to drive alot. I found LDUK online, i thought they offered good prices and Chris was a good teacher. My lessons have been very successful, i received great teaching and i would highly recommend Chris to anyone. I now want to get a car as soon as possible. I found Learn Driving UK online. I liked the look of there website and and when i called they were very helpful. Chris gave really good instruction. I have already recommended Chris as the tuition was good and he helped me alot. Now i am going to go out and get a good car and build up my no claims and simply get around. I saw Learn Driving UK online and i thought that the deals and offers were of good value. Chris was very patient and made lessons very enjoyable. I would highly recommend Chris and LDUK as i think it is great value for money. Now i want to get a car and drive to York College. Tam was recommended by a friend. He was amazing. Best instructor ever (thanks for the chewing gum). I would definitely recommend! Best tutor I could imagine, friendly and supportive. Now i want to get insured on my car and eventually do the motorway course with LDUK. I Googled the best Driving School in Harrogate and Learn Driving UK came up. Finding the best driving school and instructor was very important to me. I saw their adverts, reviews and spoke to friends. Learning to drive with Tam exceeded my expectations. Tam showed me good techniques (best practice) while driving and explained what the examiner would want from me which helped me prepare for the exam. I would highly recommend Tam and Learn Driving UK as my experience was great. I passed my driving test first time with Tam Gallagher of Learn Driving UK. Tam was recommended to me by a friend. The lessons and learning experience was much better than i thought it was going to be. Tam was good and not too harsh. I would highly recommend Learn Driving UK to anyone as they are good value for money and i learnt a lot. I passed first time with Anthony Houseman of Learn Driving UK. The most important thing for me was the price. Also the reputation and experience of the school mattered to me, the reviews online and from friends were so good that it helped in my decision. Learning to drive took longer than i expected but Anthony's teaching methods were very good and i passed first time. Anthony is a very nice and friendly instructor, I wouldn't change a thing. 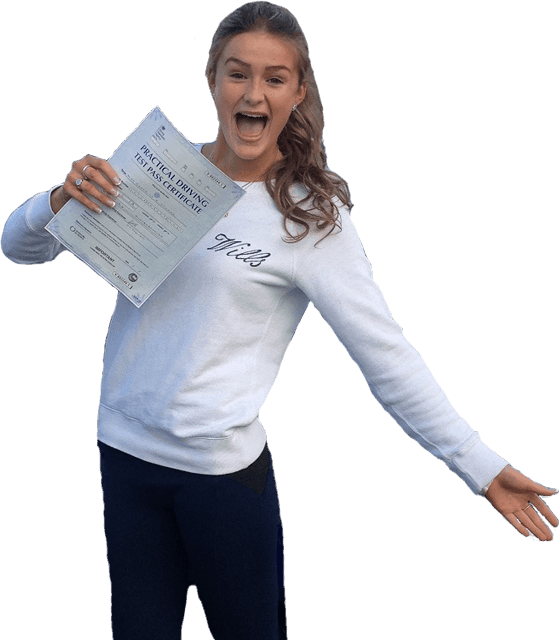 The most important factor for me when i was looking for a driving instructor was the they were well qualified and that they had good reviews. Both of which Learn Driving UK had. The cost was another big factor and Learn Driving UKs lesson prices are easily affordable. I wanted a chilled instructor who didn't stress, and thats what i got with Anthony Houseman. learning to drive was easier than i expected and i really enjoyed my lessons. Anthony was good and efficient, hes a ...really good instructor, i would highly recommend him. There is nothing i would change about my whole driving experience with Anthony. Having a calm and kind instructor was very important to me and that i could fit lessons around my school timetable. This happenend with Anthony and Learn Driving UK. Learning to drive was a lot harder than i first thought it was going to be. But Anthony was very informative and clear. I would highly recommend Anthony as he has a very high teaching standard and his methods helped me pass first time. Theres nothing i would change at all.